Women's health advocates have to stop with all the "empowerment." 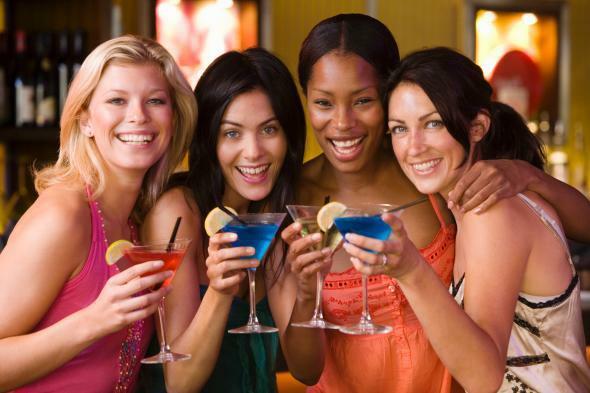 Four empowered women empower themselves to make the empowered decision to empower themselves with cocktails. Following the backlash to their recommendation that women of childbearing age should avoid alcohol unless they’re on birth control, the Centers for Disease Control and Prevention is now saying they were misunderstood. The CDC’s Principal Deputy Director Anne Schuchat told the New York Times that their intention was to make clear that alcohol consumption can have harmful effects on fetuses and that these effects were preventable. They were not, she explained, suggesting that women should abstain from drinking on behalf of their hypothetical children. It’s a common formula in the world of pregnancy advice: Give women biased or blinkered—or bananas—advice, and then present it as a source of empowerment for women to make better decisions for themselves. Take, for example, Choices in Childbirth, a maternal advocacy group, who seeks to “empower women to make informed decisions about their birth experience.” Sounds great. But a quick tour of their literature reveals a bias for the unmedicated and intervention-free. They’re also behind a classroom edition of The Business of Being Born, Ricki Lake and Abby Epstein’s hagiography of home birth. Similar language appears in arguments for breastfeeding and CDC-endorsed “baby-friendly” hospitals. They all want moms to feel empowered to make informed decisions…to breastfeed. But not all of the baby-friendly hospital recommendations, which include bans on pacifiers and supplementary formula-feeding, are fully backed by science. Don’t women deserve to be empowered by that information too? Women would be much better off if organizations and advocacy groups were upfront with their biases rather promoting their ideas under the guise of “empowerment.” The CDC is more concerned with which large-scale changes would best impact the most children, and less with what these changes might mean for women. Most natural childbirth and breastfeeding advocates are more invested in getting women to eschew interventions and formula than they are in helping women figure out what would be best for them and their kids. If these groups really want to empower women, they would make these agendas as prominent as their arguments and edits of the facts. Then women would have both the information and context necessary to make, yes, the best choices for themselves.